The day that I gave birth, was the 14th of May and was my first GCSE exam. It was my first computer science exam. I didn’t get a chance to do that exam and during that week, the school was like ‘we’re gonna bring down an exam to you, a science exam.’ So I think it was like 2 days later, I was like ‘oh, okay.’ So they brought a physics exam, I did the physics exam and for the next 2 weeks, I’d have to go back in and do exams – do my science, maths, English, history, business and all the rest but I didn’t have to do all of them because even though they weren’t allowed to take my minimum expected grades or my mock results, they’re trying to put forward, currently even now, that I only have to do 25% of my GCSE exams. Hopefully they can just go through it and take my mocks into consideration. It wasn’t as hard as I thought it would be but I probably would have liked to be with my daughter a bit more in the early days. That was an hour and 45 minutes. It wasn’t easy but you know, at least I’ve got my education side out of the way because I do want to go back to sixth form, I do want qualifications. I didn’t want to repeat the year ‘cause that will be a lot of hard work put to waste. So now I’m at sixth form and planning to do my 2 years. 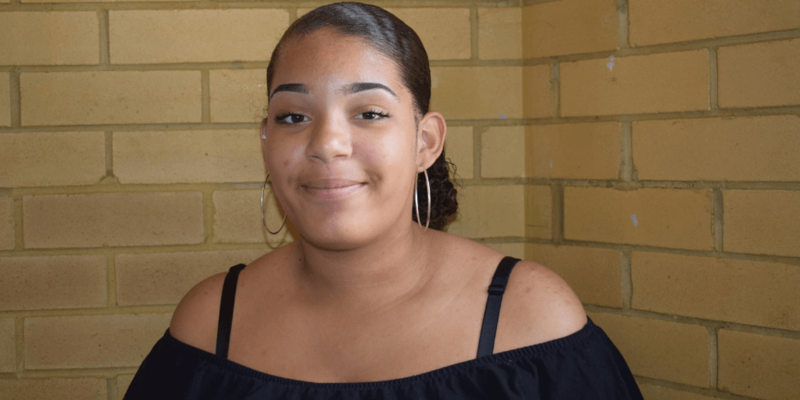 I’m studying English literature, sociology and health and social care because I want to be a child physiatrist and they are good subjects to direct me into psychiatry. See how other young parents got on at school and college here.